Editors update: On May 31, 2015, the Associated Press reported that women's college Barnard College, which currently does not admit transgender women, will be revisiting the topic of transgender admissions. In the upcoming weeks, the Barnard trustees will be voting on the issue. "I think certain issues just hit the zeitgeist at a certain point in time," Barnard's president Debora Spar told the AP. "History is moving very quickly on this issue." The issue is even more in the public consciousness today after Vanity Fair released its Caitlyn Jenner cover. We invite you to read what ATTN:'s Aron Macarow has previously written on the topic. I doubt that Calliope Wong knew that she had set off a national conversation among women’s colleges about the place of transgender students in historically non-co-educational institutions when she posted her rejection letter from Smith College to Tumblr in March of 2013. The transwoman applicant was turned away per Smith because “undergraduate applicants must be female at the time of admission,” and her home state of Connecticut did not legally recognize her as female at the time of her application. But Wong did just that, starting a quiet, but building conversation on women’s college campuses across the country about the role of the transgender community. Since that time, five women's colleges have announced policy changes that reflect varying degrees of inclusion for transgender students. This month, Bryn Mawr became the fifth to welcome transgender people via a campus-wide email from college president Kim Cassidy - joining Mount Holyoke, Mills, Scripps, and Simmons in clarifying trans-inclusive admissions policies. In the note, she concludes that "gender is fluid and that traditional notions of gender identity and expression can be limiting," driving the campus' updated admissions statement; meanwhile she reassures the community of their intent to "affirm Bryn Mawr's identity as a women's college." Bryn Mawr's exclusion of "medically or legally" male transmen from admission signifies the crux of the debate for women's colleges: Deciding to support male-to-female trans applicants is obvious and consistent with a women's-only mission. But what about those assigned female who are no longer live and identify as women? Do transmen belong at women's colleges? It's a complex issue. The question of transgender men and how we fit into women’s space, particularly at women’s colleges, has troubled me for some time. As transmasculine Wellesley student Timothy Boatwright said in New York Times Magazine, while discussing an internal conflict over taking a leadership role in the campus’ student-government, “The patriarchy is alive and well. I don’t want to perpetuate it." I also have had a complex experience of what it means to be a masculine individual in a women’s institution. (Do we really need more men, particularly white men, in leadership roles? Even white transgender men? Perhaps I’m not the best person to answer, given my white, male status, even if owned later in life.) But we do fit. And my concern that I may have been asking for inclusion for selfish reasons has dissipated through powerful conversations with alumni and current students, which helped me to realize that I have not asked for inclusion only because it feels good, but because I believe that it makes sense. Full disclosure: I am a female-to-male transgender graduate of a women’s college, Scripps in Claremont, Calif. Like Bryn Mawr, Scripps also recently passed a trans-inclusive policy in Dec. 2014 - opening the door to transwomen and cisgender women while excluding some (but not all) transmen, in a similar move to Mills' "'self-identified' women" only policy. I feel strongly that women’s colleges occupy a vital, cherished space within the American educational framework. Historically, women’s access to higher education has been limited when contrasted with men, and women’s earnings are still comparatively depressed when juxtaposed with their male counterparts today. However, in world where women are 33 percent more likely to earn a bachelor’s degree than men by age 27, how does that impact the mission of the women’s college system? Students on campus at Scripps College have an answer, and based on the conversations that have taken place at Massachusetts-based Mount Holyoke where all applicants except cisgender (non-transgender) males are welcome to apply, other women’s college students have answers, too. What was my experience, as transmale alumnus, when revisiting my women's college alma mater? Despite mild trepidation and with more than a bit of excitement, I ventured back to my alma mater in November with two other transgender alumni from the college to talk with various stakeholders on campus. What I found in conversation with current students stretched my own ideas of the position a women’s college could occupy in the evolving public dialogue on gender, gender identity, and gender discrimination. It also made me feel more at home at my former college than I did even while I was a student myself. Rather than a conventional approach to gender vis-a-vis the Michigan Womyn’s Music Festival, which is increasingly out of alignment with societal and medical view of gender identity and fluidity, Scripps students exposed me to the idea of a gender justice institution. They also reminded me of two formative experiences I had while myself while attending the College, which further cement the validity of approaching women’s-only education as an expression of gender justice in my mind. When I first arrived on campus in 2003, a year before I began exploring a non-binary gender identity and a couple years before I began identifying as male, I remember banners announcing Scripps’ intention to “build strong minds.” (It was our class year’s motto.) I also fondly recall being taught that a key element of founder Ellen Browning Scripps’ mission was to teach us to live “confidently, courageously, and hopefully.” Despite some incredibly challenging experiences while I attended Scripps -- the administration at the time was neither equipped nor wanted to deal with my gender transition so I felt the need to move off campus -- the faculty and students also provided me with experiences that were integral to my exploration of my gender identity and eventual transition from female-to-male. A central on-campus hub, the Motley Coffeehouse, historically prides itself on being the “largest all-women student-run organization west of the Mississippi.” It was the place to be, and I immediately gravitated there and applied for a position during my first year. When I came out as genderqueer, I had a safe, supportive environment in which to explore my gender as one of their baristas. As my identity slowly shifted toward male during my tenure, the entire staff had difficult conversations about what it meant to be an all-women organization in which one of its team leaders was no longer female-identified. Did a transgender man still belong on staff as a barista in such a place? Was a transgender man’s role in the community different once his inward understanding of his gender and his outward gender presentation shifted? I didn’t know, and neither did my friends and co-workers. Meanwhile, vibrant debate was also taking place around the establishment of gender-neutral restrooms on campus, and my dorm suitemates -- all cisgender (non-transgender) women -- were helping me to pick a new gender-neutral name to match my evolving identity. It was a formative, exciting, and terrifying time. Taken at face value, the answer to the question of “what is a women’s college and do transmen belong there?” from a gender justice perspective may seem counter-intuitive. Admitting male-identified students, even transmen, may seem antithetical to the preservation of the women’s college. Some have even suggested that such a policy change would be the same as going co-educational. 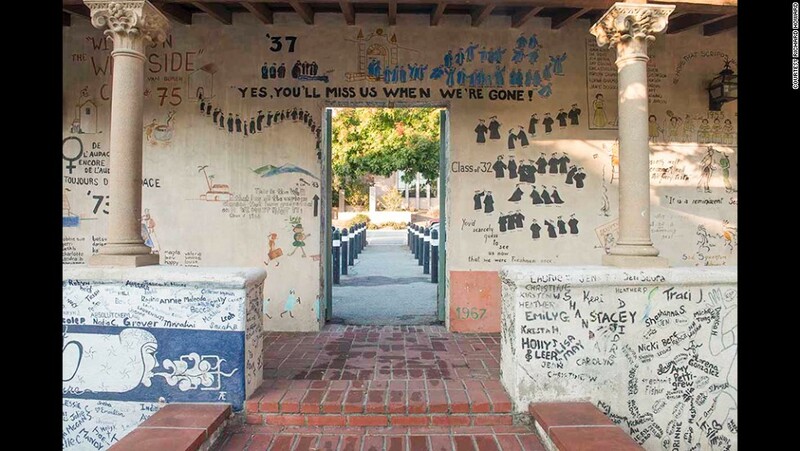 A minority of Scripps College alumnae have expressed similar concerns, wondering in online forms and town hall-style conference calls if admitting transmen will fundamentally change the nature of Scripps as a women’s college. While challenging, the entire process demonstrated to all of us the power of continued personal and institutional evolution - that the only constant is change and that we could honor our values and build supportive community by engaging in thoughtful dialogue. To be an organization working against sexism did not require the Motley to be an organization composed entirely of women; it did require an overarching commitment to feminist principles, perhaps a common lived history of gender marginalization, and the desire to wrestle with gender injustice in all of its forms. My "ah-ha" moment was realizing that women's colleges are gender justice institutions. All-female institutions have always functioned as bulwarks of gender justice, simply by valuing and supporting women’s voices in the same way their cisgender (non-transgender) male counterparts are supported elsewhere. Although women’s colleges have historically focused their efforts solely around cisgender women, the broader project of women’s colleges has been to provide safe havens to nurture those marginalized by gender in our culture. Updating admissions policies to affirm trans lives and gender-variant experiences does not stifle this legacy; it continues it. While discussing these changes with fellow alumni in an online forum in late 2014, a graduate from my class year asked if we had any news to contribute to the “Class Notes” section in Scripps Magazine. I jokingly suggested that my biggest news was my ability to complete No Shave November with more success than embarrassment this year. While it initially seemed strange to include such overtly masculine news in a women’s college magazine, it reminded me of Scripps’ visiting professor of women’s studies and 2005 scholar-in-residence Jennifer Miller. Best known as the founder of New York’s Circus Amok!, Jennifer Miller and her group perform groundbreaking, free one-ring circus acts aimed at engaging spectators in the world of politics. What I most remember Miller for, however, is not her innovative performances, but her impressive beard. I had never met a bearded woman before being introduced to Miller. Instead of hiding a natural biological phenomenon that many women might shave or pluck, she wears it proudly, expressing that shaving it felt like a violation of self and never backing down from her ability to be both female-identified and have what most see as an exclusively masculine signifier. Beyond her class, Miller taught students that there were multiple ways to be -- simply by her presence on campus. She expanded the category of woman. And although I ultimately found a home as a bearded man rather than as a masculine-of-center woman, she taught me how to live more comfortably in my own skin by the example she set. Transgender and gender-variant students expand the conversation and freedom of the entire women’s college community in similar ways; these policy changes do not alter the fundamental character of women’s colleges. Rather, they strengthen them, acknowledging that all gender minorities -- whether cisgender women, their transgender sisters, or transgender men -- have shared histories of gender oppression. Through that common nucleus, we also all have something to gain and most importantly, something to give, within the special educational culture of a women’s college. Maybe I will submit an announcement to the “Class Notes” section after all. Do you think transgender men should be allowed at women's colleges?